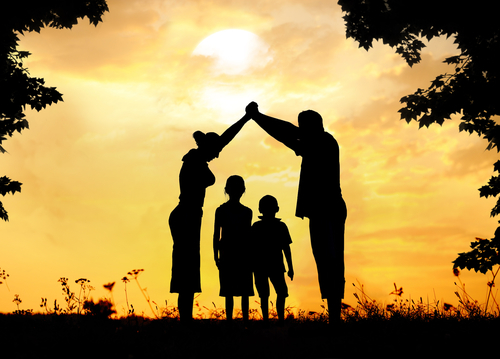 Estate planning is something absolutely critical. As the old joke goes – two things in life are absolutely certain – death and taxes. You need to have a plan which is put in place in case of this particularly unfortunate event. It is important to ensure that you take this responsibility and make sure that other people are aware of it. With this in mind, there are quite a few things that you should take into account when it comes to it. This is the main reason for which we’ve taken the liberty of providing you with a few things that you can do in order to ensure that you are well prepared when it comes to your estate planning. So, without any further ado, let’s go right ahead and take a quick look. In order to conveniently start things off, the first thing you should do is to make a list of all of the items which are worth more than $100. There are certain examples here such as jewelry, TV, vehicles, guns, laptops, computers, power tools and others of the kind. It might not seem important to you but all of these things quickly add up and they might compose a substantial and lump amount of cash. To make it simpler – these are the things that you own in paper yet you don’t have a physical grasp on. They include: life insurance policies, bank accounts, IRA assets, brokerage accounts, 401k plans and others of the kind. These are the assets which could quickly add up and stack up to a very serious amount of money. Once you are done with all of the above, it is very important that you date and sign the lists and ensure that you have at least three separate copies of them all. The original one you should be giving to the estate administrator. The second copy is the one that you should give to your spouse, provided you are married. The last one you should keep to yourself – make sure to store it in a very safe place. These are also things which pass by contract. With this in mind, if you want them to pass on to your next of kin, you should make sure that they are active. Furthermore, it is important that the beneficiaries in these documents are very carefully listed. Call the respective companies and make sure they are. Everyone who is over 18 years of age should have created a will. This is pretty much the rulebook when it comes to distributing assets and it’s something which could essentially prevent a lot of havoc amongst your heirs. This is something that you can get done for a small amount of money – if you want to get it done professionally. Additionally, there are a few free software which could provide you with all you need to do it on your own. Once you are through with the will, make sure to send it out to your estate administrator as well. This is something quite important. All in all, these are just a few of the things that you could do in order to ensure that everything is handled properly. Of course, there is no one-off list as estate planning is something that you should always be having in your mind. Of course, it would be far better if you rely on professionals to do so. The best thing you could do is to go ahead and visit an experienced financial planner. Estate planning is something that people start to consider as they grow older. However, when you grow older, estate planning is honestly the last thing that you want to be bothered with. This is something that you should know. It is burdensome and it is time-consuming. This is why it would be far better if you let a professional planner or an estate attorney, for that matter, handle it alongside with you. This is going to ensure that everything is handled as per the highest standards and that there are no issues with the entire undertaking. This is also something which will provide you with the certainty that there are not going to be any problems once the inevitable happens and that your belongings and property is properly distributed amongst your heirs.